Don’t miss the sip of juice from now. Because Lexen Manual Wheatgrass Juicer is designed for your healthy juicing experience you can get while you are traveling. In this manual wheatgrass juicer reviews, I will show you why it is great for using while traveling. You can fix the clamp anywhere you want. 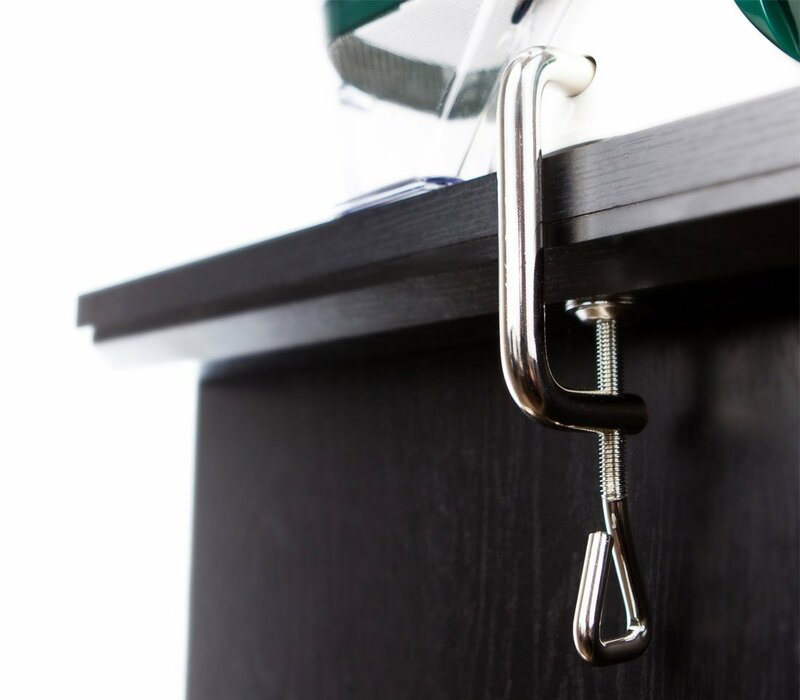 You will find stainless steel table clamp that comes with this product. So if you are looking for the best manual wheat grass juicer with masticating process which is masticating you can surely go for the review to see other feature why it is best suited for you! Lexen Manual WheatGrass Juicer comes with a portable design having a dimension of 5.5×8.3×7.5 inches. 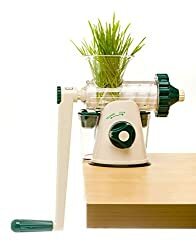 It is also lightweight having 2.4 pounds which make it best manual wheatgrass juicer for traveling. This juicer comes with a suction base and the table clamp which is all stainless steel makes it durable and to set anywhere you want. The suction base will especially help you for your quick set-up. In the manual wheatgrass juicer reviews, I will let you know about the 30 seconds cleaning process of the juicer which is one of the most attractive features. You only need to clean tree parts of the juicers though having no internal screen to scrub. It only takes a minute to disassemble. This juicer has the ability to juice soft vegetable and wheatgrasses like kale, spinach or even parsley or any other leafy vegetables. 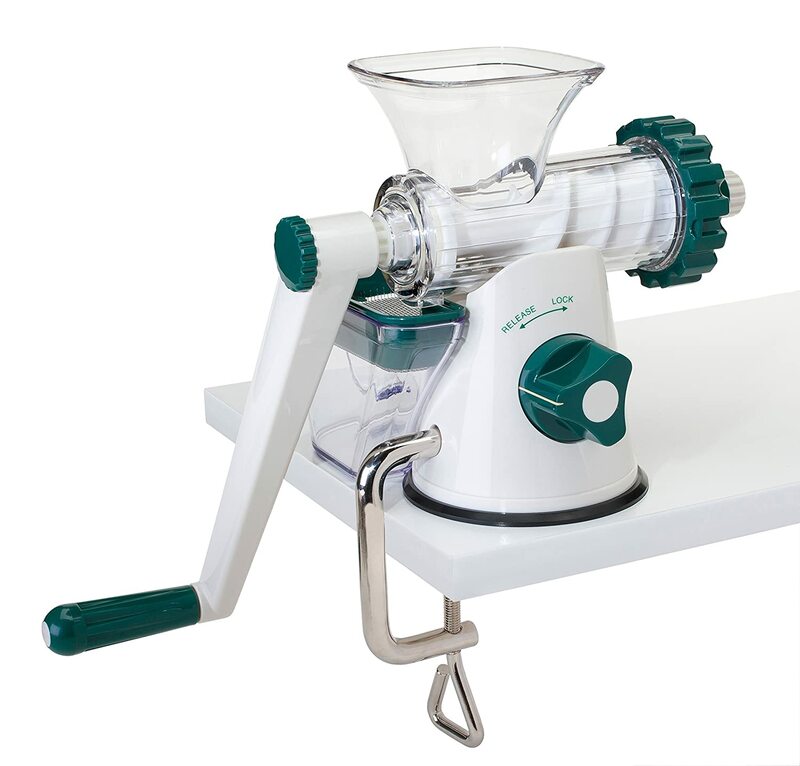 This live-enzyme juicer can also produce sorbet of banana, berries etc. which is very healthy for your body. Great for juicing leafy green or wheatgrass. This juicer comes with a patented suction base. Stainless table clamp helps you to set the juicer at anywhere you want. Not so great for juicing hard vegetable or soft juices also. But if you strap them into pieces it will make great juices for you. You can find the shaft auger may be flimsy sometimes. As this Lexen Wheatgrass Juicer is an excellent manual cold press juicer you can juice any kind of leafy vegetable or wheatgrass like celery, kale, spinach. Additionally, you can even juice parsley or any other leafy green like collard greens, chard. You can also make various sorbet like frozen banana or berries with this juicer. Due to its cold press juicing system, it is not great for juicing hard vegetables like carrots. Also not so efficient with soft fruits. Q: Is it a centrifugal juicer or cold press juicer? A: No, it isn’t a centrifugal juicer. It’s a cold press juicer. So, you need to cut the pieces of your fruits or vegetables into small pieces. Q: Is it able to juice hard vegetable or fruits? A: Yes, it has the ability to juice hard juice or vegetable. I would not suggest it as the pulp is not dry enough. Q: Is the plastic safe from the contact of the Juice? A: The auger is made of BPA free materials and the cap is made of stainless steel which provides its safety to use. Finally, after going through the above manual wheatgrass juicer reviews you can obviously go for this product because of its portability and elegant design. After all, the Lexen Manual Wheatgrass Juicer having a great capacity of juicing soft vegetable can make your day.